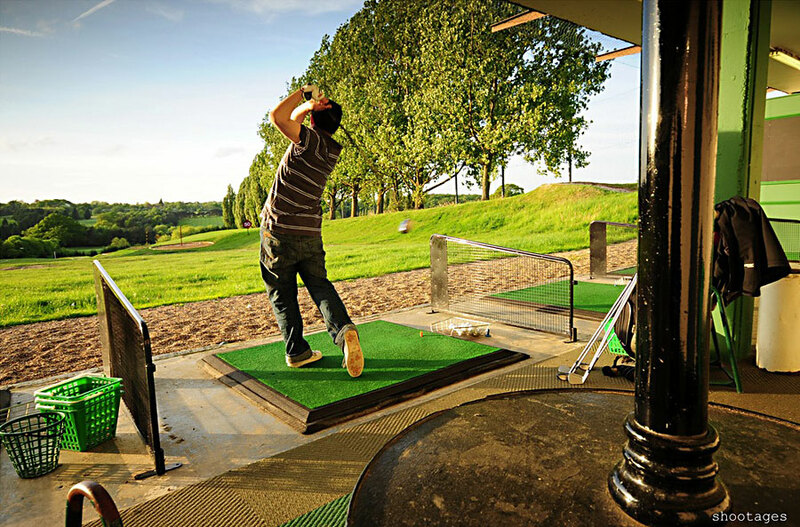 "The 34 bay floodlit driving range at Trent Park is one of the best ranges in London and any search for golf ranges or golf lessons should start here !! " We aim to help improve your golf but at the same time make the golf lessons experience Fun - which is the best way to learn golf London offers many golf learning facilities. On the green or fairway and even from the rough you will improve your driving, short and long iron play, short game and putting rapidly ! No matter what your level of golf is, you will not need to look any further for golf lessons in london. 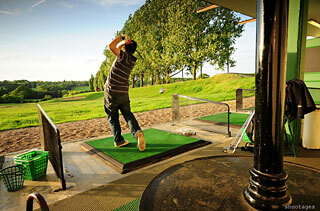 The Golf Range is open to everyone and no membership is neccessary. Just turn up and hit some balls. It is not neccessary to book or call ahead; there is always plenty of spaces. Club Hire is available for those who dont have any Clubs and dont worry if you have never played before just come along and give it a go. You may discover you are rather good at it. The Range is open until 9.00pm on Fri to Sunday and until 10.00pm on Mon-Thurs with last balls sold 30 minutes before these closing times. We do ask that for safety reasons you read and respect the rules of the Range which are published on site and that Children are accompanied at all times by their parents. BALL PRICES £4.50 (25 balls), £5.50 (50 balls), £6.50 (75 balls) £7.50 (100 balls). Big User Cards SAVE 10% or 20% on prevailing single bucket prices when you put £25 credit or £50 credit respectively on your card. You can pay for balls up until 9:30pm on the card machine downstairs on the range itself and lights out at 10pm sharp. Lessons Booking line: 033 011 390 07 ( 0208 - FOR - GOLF ) - and by the way you won't find a golf range for kids in london as close to a Tube station as this one so less driving for the parents !